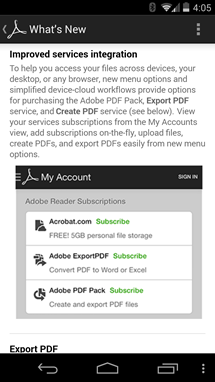 The Adobe Reader Android app has received another update, but you're going to have to hand over some money to take advantage of all of its new features. 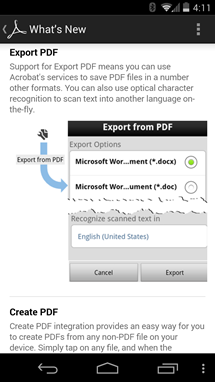 Adobe has rolled out new "Adobe PDF Pack" and "ExportPDF," which users can purchase from within the app. 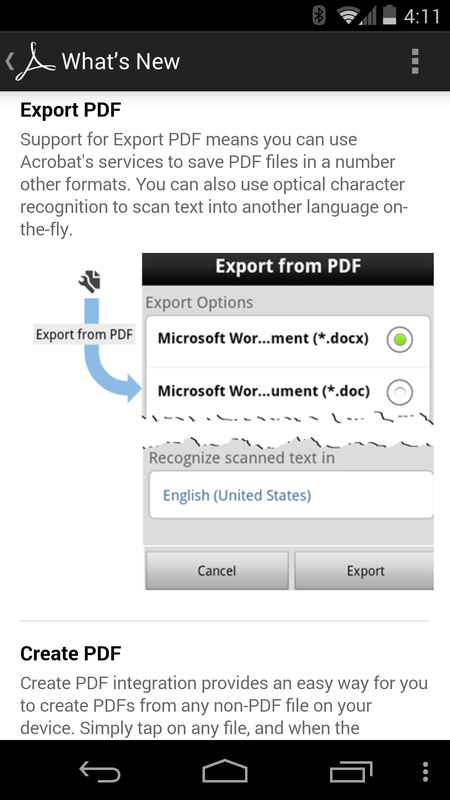 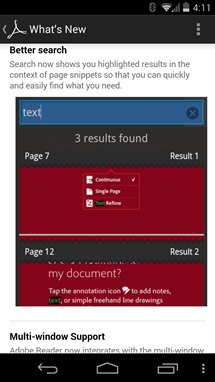 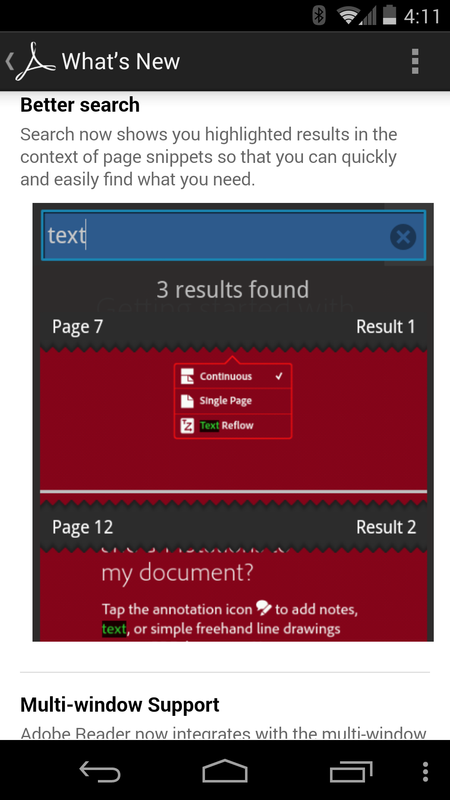 The former let users convert documents into PDFs, while the latter does just the opposite. 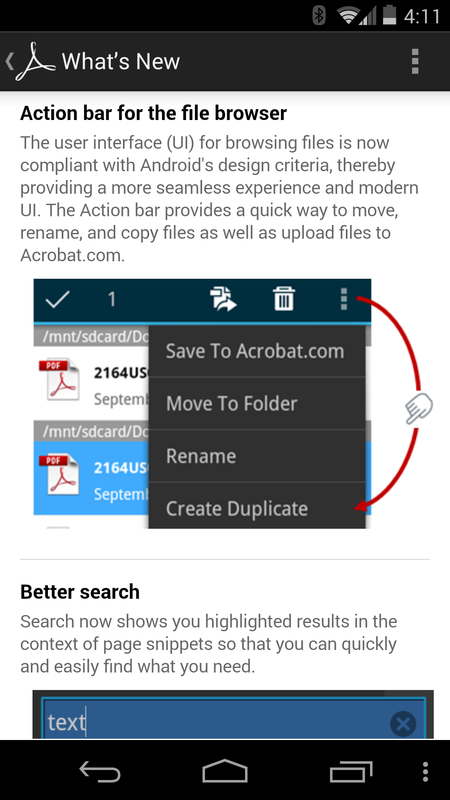 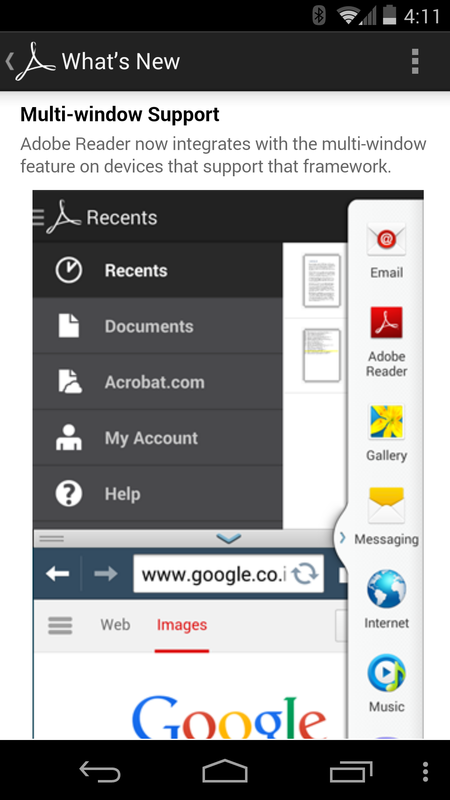 In addition to the PDF functionality, Adobe has made the app's file browser more up to date, as options are finally accessible from an Action bar. 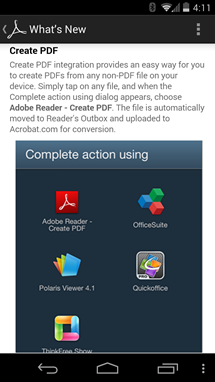 The basics such as copying, pasting, and renaming files are covered, as is uploading data to Acrobat.com. The updated app also has multi-window support on devices that can handle it, such as the Galaxy Note 3. The app is free to download, even if all of its content isn't available out of the gate. 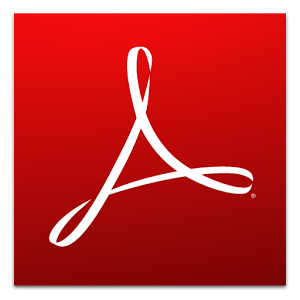 Regardless of whether you wish to create PDFs, Adobe Reader is still a well-known option for reading them. 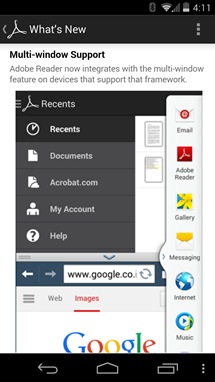 Check it out by hitting the widget below.